Shirataki noodles are also known as しらたき in Japanese. 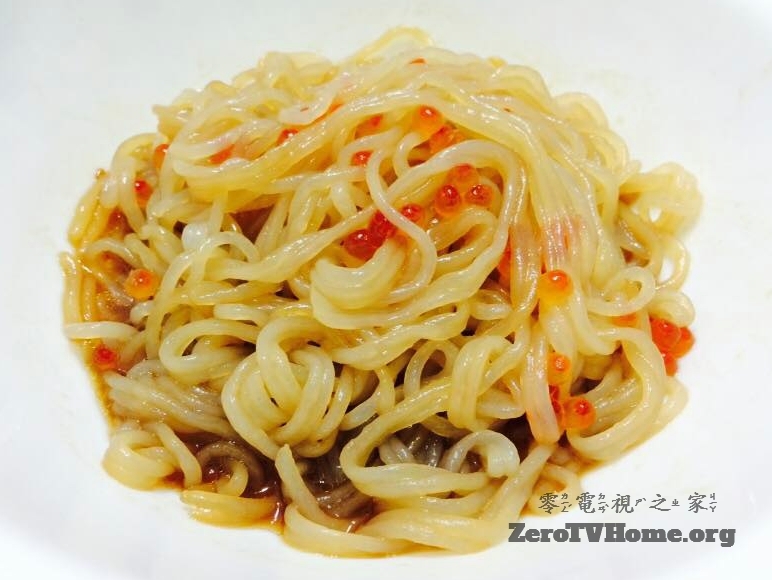 In English, they are called devil's tongue noodles, Miracle Noodles, yam noodles, or ito konnyaku. These noodles are made with devil's tongue yams, which contains water and an indigestible dietary fiber. Therefore, Japanese Shirataki noodles are useful to those on low-calorie and low-carbohydrate diets. 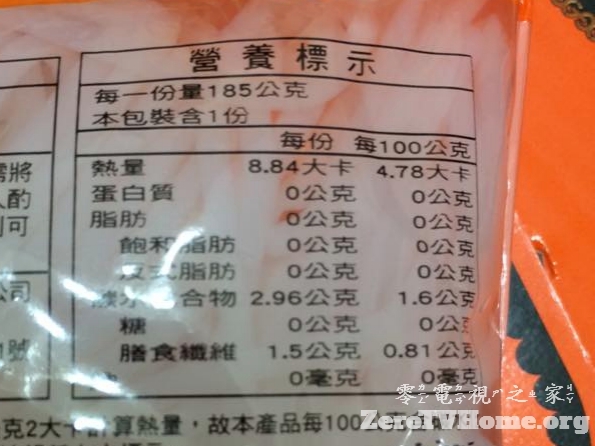 Traditionally used in Japanese hot pot or stew, they are becoming very popular in health food stores around the world. 1. 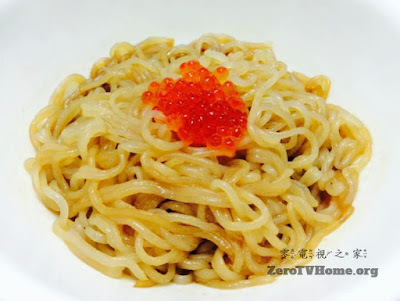 Rinse the noodles in cold water, twice. This step is to eliminate the odor of Shirataki noodles. Please note: some brands may require you to boil the noodles for two minutes, drain, and then spread out on paper towels to dry. 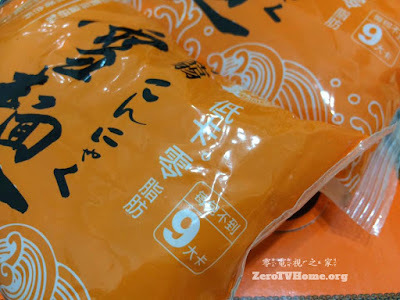 However, the noodles I purchased was already cooked and ready to use. 2. In large bowl, add soy sauce, Japanese sesame sauce, and a few drops of sesame oil. Add two packages of Shirataki Noodles. 3. Top with whatever ingredients you like. 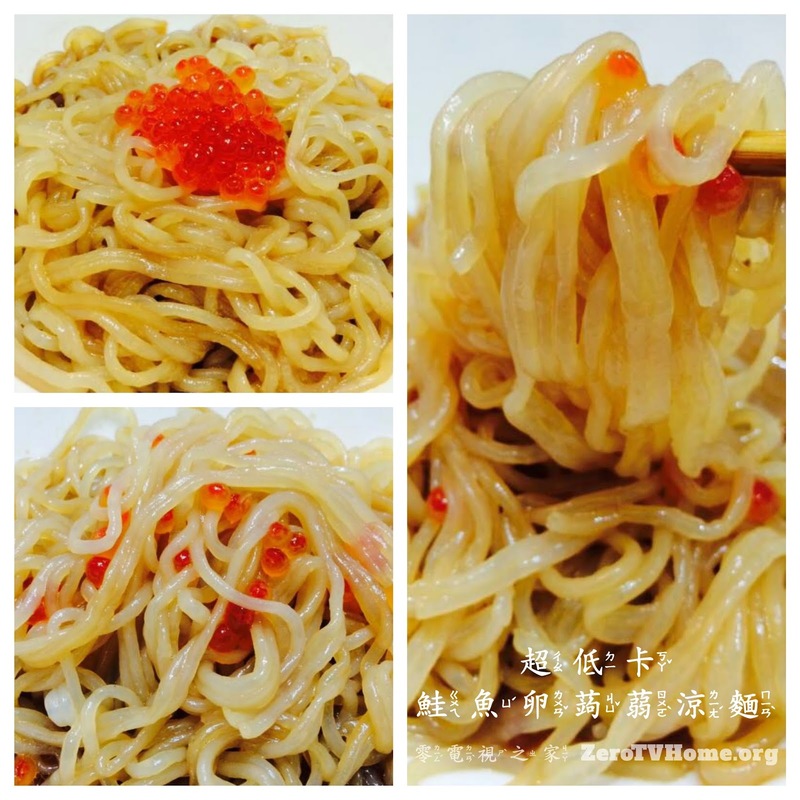 I happened to have some salted fresh salmon roe, so I added about 2 TBSP of roe to my noodles. 4. Toss to coat. Served cold. It's low-carb, it's low-calorie, and it's easy to prepare. 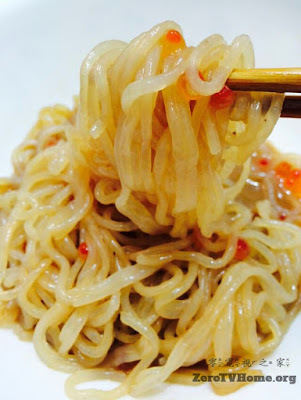 I only spent about five minutes to "cook" Japanese Shirataki Noodles, and oh they taste so gooooood!